A Christmas KICKmas came early for some well earned high-kicking ProKickers at the ProKick grading tonight Wednesday 17th Dec 2014. 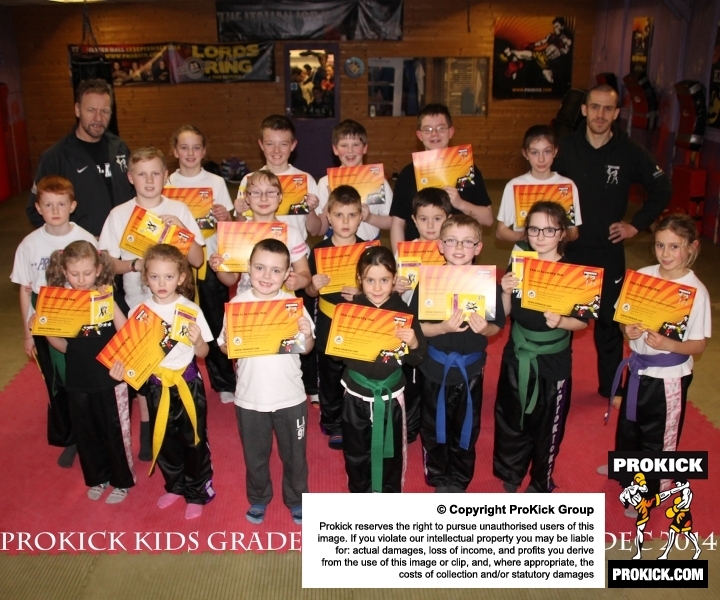 It was grading day for Kids and Adults at the ProKick school of excellence and it was graduation day for some of ProKick's enthusiastic students at Belfast's top kickboxing and fitness centre. Beginners up to Blue belt became of age today. That's when Kickboxing mad kids went through their ProKick exams with a series of tests covering different aspects from the sport which helped elevate most to the next level. The pressure was on at this the last ProKick Exam of 2014 as the search for kickboxing excellence continued at Northern Ireland’s top kickboxing gym. There will be photos posted in the gallery from Wednesday’s grading over the coming days. 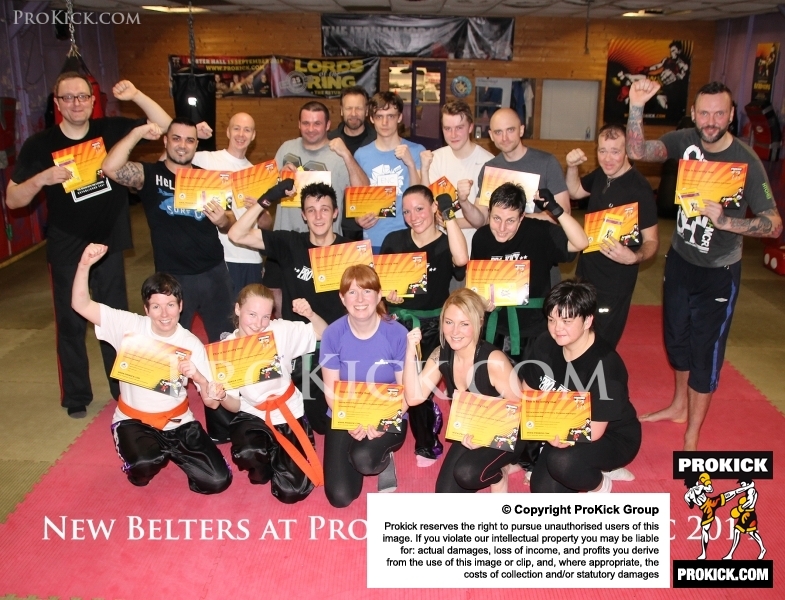 Check the ProKick HQ training schedule and move into your the appropriate class for your level.